Many employers today create cost tiers for group health insurance based on employee health status, such as smoking or blood pressure. This benefits trend is growing tremendously. A few years ago it was considered a bold strategy, but today it has become commonplace in the face of unsustainable healthcare costs. 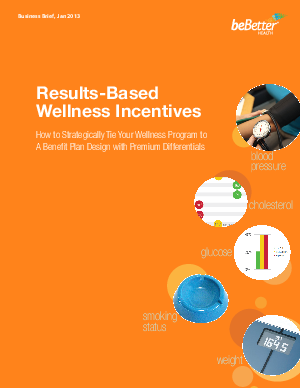 The government is pushing this strategy hard to create incentives for employees to get healthy. Allowable premium differentials, currently at 20%, are going to 30% in 2014, and 50% for smoking. This white paper explains the legal framework and best practices.